“An ambassador is an honest gentleman sent to lie abroad for the good of his country” said Sir Henry Wotton, an English author, diplomat and politician, in 1604. Any ambassador from any country, rich or poor, big or small, developed or underdeveloped, from the west or from the east, from the north or from the south has need to lie for the good of his country. Burma is also not exception, any ambassador or any representative or any delegation has to follow the rule to lie but for the good of the regime not for good of the country or the people. In the true sense it is not a lie it is a right to lie. The Burma’s second Universal Periodic Review (UPR) was held on 6 November 2015 in Geneva, Switzerland. 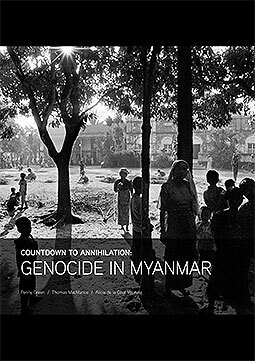 According to the government’s full response to the review, released on 10 March 2016, Burma accepted 166 of the 281 recommendations it received from other states. The government’s blanket denial that it had ever engaged in any discriminatory practices based on race or religion was accompanied by a refusal to accept numerous recommendations that called on the authorities to address discrimination and incitement of hatred against religious minorities, including Muslims, and to protect their rights. The government also refused to accept 10 recommendations that called for the amendment or repeal of the four discriminatory ‘Race and Religion Protection Laws’. However it is not a lie, it is a right to lie in the interest of the regime not for the state. The 13th ASEAN Chiefs of Defence Forces Informal Meeting (ACDFIM-13) commenced in Vientiane, Laos, and Community”. The event is being attended by chiefs of the General Staff, commanders-in-chief of the armed forces, and commanders of the defense forces of the 10 ASEAN member countries’ armies. During the one-day meeting, the participants will discuss measures to enhance mutual understanding, trust and cooperation. They will look into means of cooperation in the future, to be ready for traditional and non-traditional threats. Speaking at a gathering of his regional counterparts on Monday, the Burmese commander-in-chief of Burma’s armed forces, Snr-Gen Min Aung Hlaing called for closer cooperation between the member states of the Association of Southeast Asian Nations (ASEAN) to address the problem of Rohingya migration. He termed the Rohingya issue as a regional threat; the Rohingya Muslims represent an “unconventional threat” to the entire Southeast Asia region. He stressed the need to work together to combat “terrorism” related to “the ‘Bengali’ [Rohingya] issue. During the 2008 presidential campaign, VP candidate Sarah Palin said: “I can see Russia from my house.”Now the Burmese Sir General also can see the ISIS from his house. That’s why he wrote at his facebook post that “extremist organizations” were supporting efforts “for the recognition of Bengalis in Rakhine [Arakan] State as Rohingya. Burmese regime always try to deny and to reject the Rohingya as one of the country’s indigenous peoples although pioneering historical studies by G.H. Luce and Than Tun as well as ethno-linguistic studies carried out by some British East India Company staff dating back to the 1780’s firmly establish the integral presence of the Rohingya as a distinctly Muslim population of the then Arakan kingdom. Now the Sir General blatantly lying in that meeting that the Rohingya issue as a regional threat; the Rohingya Muslims represent an “unconventional threat” to the entire Southeast Asia region. But do not say that he is lying there; actually he is exercising his right to lie for the sake of the regime. Hakka Chinese family. Moreover, four of the five largest commercial banks in Myanmar, Myanmar Universal Bank, Yoma Bank, Myanmar Mayflower Bank, and the Asia Wealth Bank, were all founded by Sino-Burmese. Today, the majority of Burmese Chinese live in the major cities of Yangon, Mandalay, Taunggyi, Bago, and their surrounding areas. Although there are Chinatowns (tayoke tan) in the major cities, the Chinese are widely dispersed throughout the country. The northern region of Burma has seen a recent influx of mainland Chinese migrant workers, black market traders and gamblers. In Kachin State, which borders China in three directions, Standard Mandarin is the lingua franca. 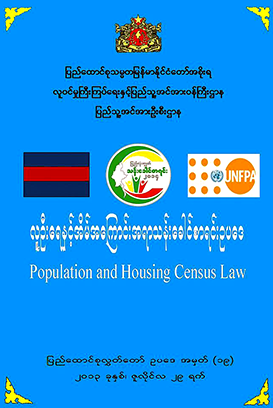 Upper Burma has seen a demographic shift resulting from the recent immigration of many Mainland Chinese to Mandalay Region, Shan, and Kachin States. Ethnic Chinese now constitute an estimated 30 to 40% of Mandalay’s population. Huge swaths of land in city centre left vacant by the fires were later purchased, mostly by the ethnic Chinese, many of whom were recent immigrants from Yunnan. The Chinese influx accelerated after the current military government came to power in 1988. With the Burmese government turning a blind eye, many Chinese immigrants from Yunnan (and also from Sichuan) poured into Upper Burma in the 1990s, settling in Mandalay. In the 1990s alone, about 250, 000 to 300, 000 Yunnanese were estimated to have migrated to Mandalay. Their arrival has been vital in the doubling of Mandalay’s population from about 500,000 in 1980 to one million in 2008. Chinese festivals are now firmly embedded in the city’s cultural calendar. The influx of Mainland Chinese into the city and the subsequent displacement of native Burmese to the outskirts of the city has created racial tensions. An influx of Chinese immigrants, mostly from the Yunnan province has continuously increased the dynamics of the economy of the entire nation. Ethnic Chinese entrepreneurs have been increasingly involved Mandalay’s economy since the imposition of sanctions by the United States and the European Union in the 1990s. The onset of economic liberalization and the rise of free markets in Burma, members of the Sino-Burmese community gravitated towards commerce and business and adhere to the Chinese paradigm of guanxi which is based on the importance of having contacts and connections as a key ingredient for business success. Following Burma’s new market transformation, Chinese immigrants from Yunnan, were able to obtain identity papers on the black market to become naturalized Burmese citizens. Nowadays, most foreign-born Chinese can easily obtain Burmese citizenship cards on the black market. Money from Mainland China is able to flow into property and skirt the foreign ownership ban as many mainland Chinese either obtain Myanmar identity cards via bribery or marriage to a Myanmar national through middlemen who are ethnic Chinese Burmese citizens. Retail stores would be opened by Chinese entrepreneurs, whose business interests ranged from cement mixing to money exchange. In addition, nearly all of Mandalay’s and Rangoon’s shops, hotels, restaurants, and real estate are owned by Sino-Burmese entrepreneurs. According to American writer Amy Chua, while the Burmese still owned some small printing houses and cheroot factories, a sense of bewilderment and resentment exists for many ethnic Burmans living their daily life surrounded by the Chinese-built and Chinese-developed high rise buildings and apartments. Mandalay’s major industries include sports where soccer has arrived in Mandalay, with Yadanabon FC representing the city in the newly formed Myanmar National League, the country’s first professional football league. Burmese Chinese entrepreneurs are also involved in silk weaving, tapestry, jade cutting and polishing, stone and wood carving, making marble and bronze Buddha images, food products, temple ornaments and paraphernalia, the working of gold leaves and of silver, garments, pharmaceuticals, match manufacturing, brewing and distilling. Burmese Chinese entrepreneurs have also have established heavy industry joint ventures with many large Chinese corporations. These industries include shipbuilding, copper, nickel, oil and natural gas, cement, base metals, coal, fertilizers, jet fuel, industrial minerals, kerosene, steel, tin, tungsten, agricultural processing, wood and wood products, logging, timber, rice, and construction materials, machinery, transport equipment, and plastics. Sino-Burmese entrepreneurs have also established numerous joint ventures to have the construction of oil pipelines bring thousands of jobs into the country. Chinese consumer electronics and fashion are also large industries. In Yangon, the Hokkien operate small and medium-sized family businesses in timber, rice, bean and legume trading, and cooking oil production while the Cantonese focused on small-scale manufacturing of handicrafts and similar products. There are also substantial Burmese Chinese communities outside of Burma, particularly in Taiwan, Macau, Hong Kong, Singapore, United States and Australia. Zhonghe District, near Taipei, Taiwan is home to 40,000 Burmese Chinese (2008), one of the largest communities outside of Burma. In effect, the Chinese takeover of Mandalay and northern Burma replicates the economic consequence of British colonization of Burma. The striking differences between the two types of colonization is that in the case of British annexation of Burma it was imposed by an imperial power that deposed the native rulers after waging and winning the three different Anglo-Burmese wars fought over a span of sixty-one years from 1824 to 1885. But the Chinese economic colonization of Mandalay and northern state of Burma has occurred during a short span of time without any war, even no need to fire a single bullet of a gun. The successive military regimes never think of the Chinese economical colonization as a threat rather they think it as complementary. Moreover the Chinese are also not came here for threat. They came here to get rich, as for them to get rich is glorious. The great leader Deng Xiaoping told them that “to get rich is glorious”, that’s who today China is the second richest country of the world and all the Chinese in Burma are rich. This entry was posted in Articles, Burma, Feature and tagged Arakan, Burma, Rakhine, Rohingya. Bookmark the permalink.